Studying marine life is exciting for kids! If your preschoolers are interested in sea turtles, it might be time for a sea turtle life cycle unit study! 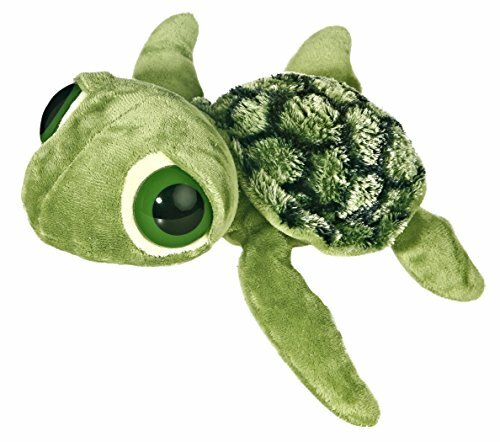 Have you introduced your kids to sea turtles yet? Have they seen one at the aquarium or the zoo? Are they fascinated by the turtle’s big flippers that make it a great swimmer but a clumsy land-walker? 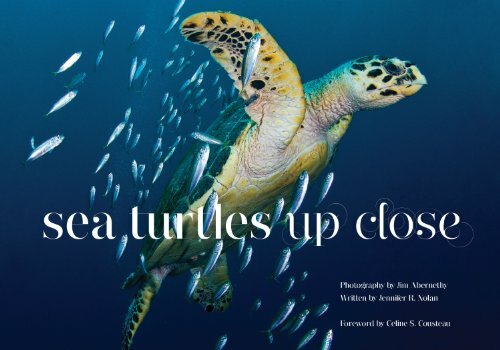 Summer is a great time to talk about sea turtles since many people are heading to the beach for vacation. But, you can use this study any time of the year, because animals never go out of season! I’ve got the perfect unit study for you to share with your preschooler. 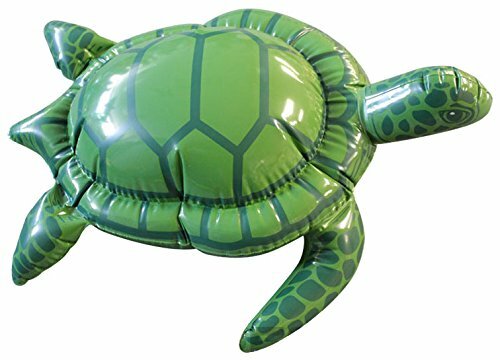 This hands-on unit study will help you introduce your child to the sea turtle life cycle. Start this unit study by asking your preschooler what they already know about turtles. They’ll likely tell you turtles are green. They have a shell. And, they live by the pond. Introduce them to sea turtles with an anchor chart that has some fun facts on it. Let them know that sea turtles live in the ocean. Show them pictures of real sea turtles so they can see the big front flippers. 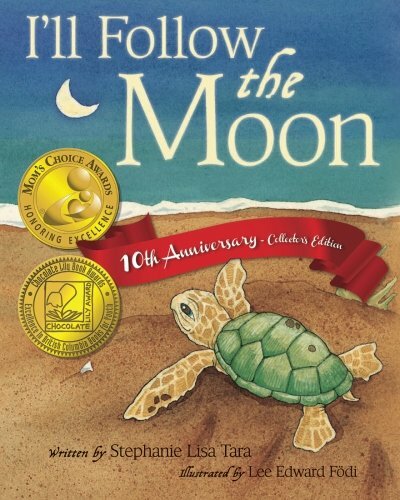 Help them discover that sea turtles lay their eggs in the sand on the beach. 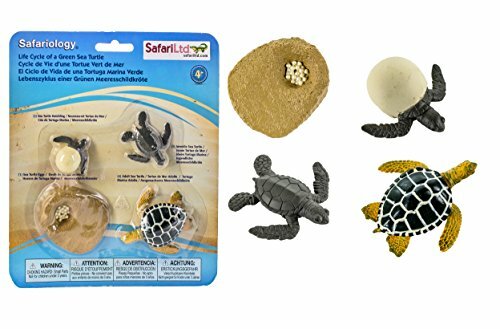 If you can’t find realistic pictures, you may want to use some realistic figurines that depict each stage of the sea turtle’s life cycle. I always love to find a good book (or lots of them) to read during my unit studies. 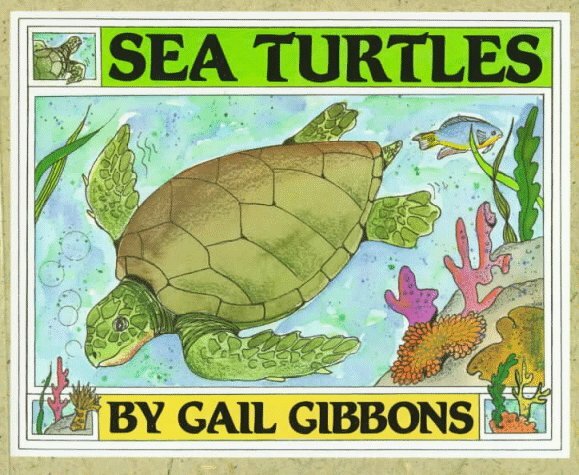 Now that you’ve introduced your preschoolers to sea turtles, it’s time to grab a book from your book basket. One Tiny Turtle is a great book to read during this unit. 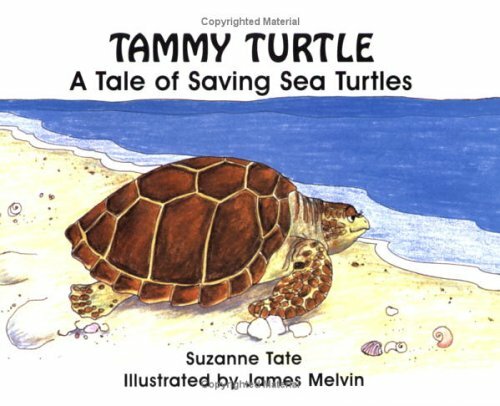 The story starts out describing what a newborn sea turtle looks like. 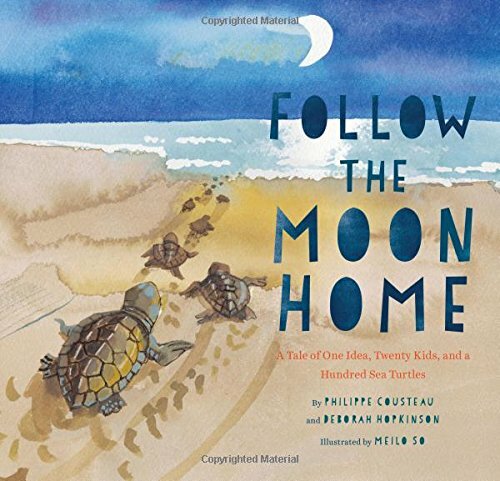 It goes on to follow the journey of the turtle as she travels through the ocean for years until one day she returns to the place she was born to lay eggs of her own. Now that you’ve read a great book to kick off your unit, revisit an old favorite or read a few more new ones. Choose at least one with good realistic pictures of the sea turtles. 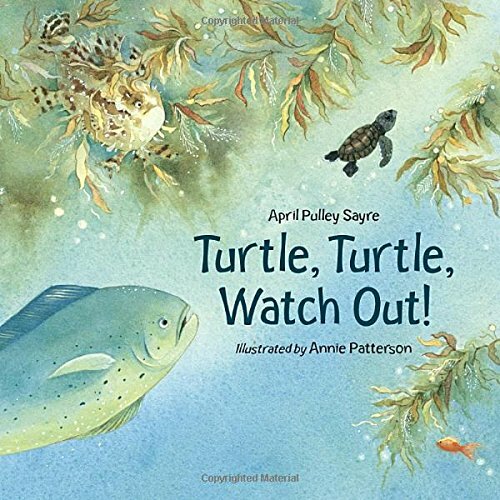 Call out parts of the sea turtle and let your child point to it in the book. Then, let them label a picture of their own. 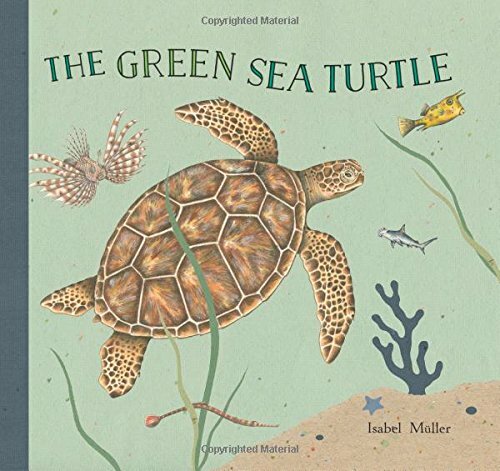 Below, I’ve featured a few more books that will help your children learn about sea turtles. You should be able to find them at your local library or book store. If you can’t find them locally, you can click each image cover to purchase them on Amazon. Show your child a life cycle poster. Since you’ve already read a few books about sea turtles, they should be familiar with the stages of the life cycle. The poster serves as a visual so they can see just how the life cycle works. Once you’ve talked about the poster, share the fact cards that describe each step of the life cycle. 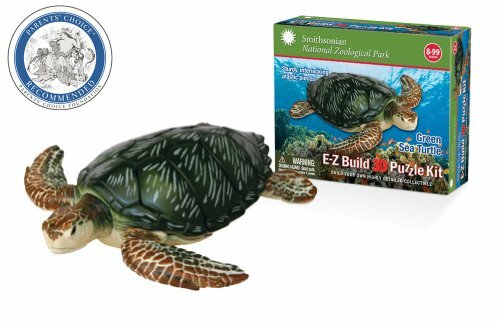 At this point, it’s fun to hand little ones plastic models of sea turtles to match up to the life cycle poster or cards. This helps to solidify the cycle in their mind. Then, let them practice sequencing the life cycle for themselves. See if they can do it from memory without gluing anything down. Then, use the poster or fact cards to check their work. SHOW YOUR PRESCHOOLER THIS AMAZING VIDEO! These hands-on teaching resources will aid you in teaching this unit study in your homeschool preschool. It’s important for kids to be able to process and record their new knowledge. Help your preschooler write about what they’ve learned in this unit study. They can write it themselves, or they can dictate it and you can write it for them. 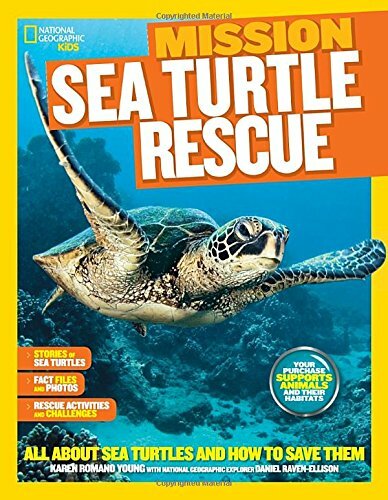 Inside this ten-page sea turtle life cycle unit study, you’ll find all of the activity pages featured above. These activities, resources, and books can be pulled together to create an in-depth unit study that is perfect for young learners. Click on the image below to download your sea turtle life cycle unit study. Enjoy!